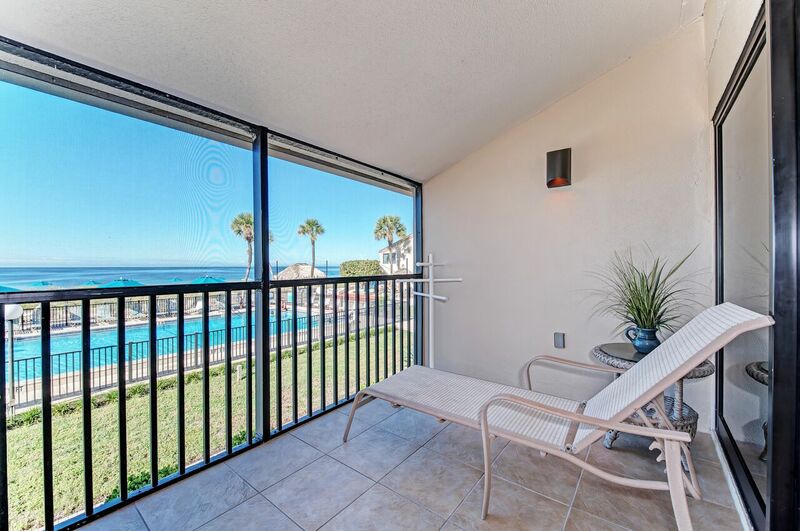 1C - Ground Floor Poolside/ Beach View. Sleeps 6 Persons Maximum (Sleeper Sofa).Standard Living Room.. 46 Inch Flat Screen TV in Living Room. Master Bedroom has King Size Bed. 32 Inch Flat Screen TV in Master Bedroom. Shower in Master Bathroom. Guest Bedroom has 2 Twin Beds. 21 Inch Flat Screen TV. Bathtub in Hall Bathroom. Flooring: Carpet in Living Room and Bedrooms. Screened Lanai. Please contact me with information regarding C12.